My secret sin involves the theft of chocolate treats from the dish set out for office visitors. One or two less won’t be noticed, except by my waistband. I must try harder to live up the advice of the investigative Committee of the Legislature that I chaired years ago. We estimated that by about now, childhood obesity and physical inactivity would be costing the BC economy $1 billion annually in direct health care costs. Inactivity is one part of the health equation, and nutrition is the other. A previous BC Liberal government successfully introduced measures which, in effect, replaced chocolate bars with more healthy fruit and vegetable snacks in our schools. We should give that worthy project a renewal push. Physical inactivity and obesity are implicated in heart disease, diabetes, hypertension, osteoarthritis, certain cancers, and a wide range of other illnesses. Obese people are four times more likely to have diabetes, three times more likely to have hypertension and half again more likely to have heart disease than those with healthy weights. In terms of inactivity, many of the reports we reference were written before many segments of our youth became totally absorbed with digital activity on iPhones and other devices, pokemon and minecraft. These are now endemic, and contrast sharply with the time I spent tree climbing and jumping from boxcar to boxcar in my own misspent youth. On another front, however, I am inclined to report progress. On any Saturday morning, a stroll down the road in my North Shore neighbourhood will be interrupted by squadrons of svelte, lean, hungry-looking cyclists travelling at high speed in close formation. I had proudly concluded that this was a strictly West Coast phenomenon, but last month, visiting family in northern New England, I witnessed a touch of the same. Also, I can report that to my eye, there were fewer examples of travellers of broad beam in the airport terminals I visited. But this is rather unscientific evidence. All of the above is by way of leading up to a discussion of recent lobbying led by former Federal Cabinet Minister Mary Collins, P.C., Director of the Secretariat of the BC Healthy Living Alliance, a group that is made up of organizations such as the Lung Association, Pediatric Society, Cancer Society, Heart and Stroke Foundation, Diabetes Association, Dieticians, and UBCM — to name only a few – all of which are collaborating on the prevention of chronic disease. Their strong suggestion is for the government to place a tax on sugary drinks such as Coca Cola, Pepsi, and various so-called energy drinks. In a report titled, “Getting to the Sweet Spot –It’s Time to Tax Sugary Drinks” the Alliance reported on their meeting with health leaders from Mexico and Barbados where they learned about the Sugary Drink Tax. Both countries have been wrestling to control health complications and costs (especially type 2 diabetes and hypertension) alongside growing rates of obesity. Mexicans have the dubious distinction of having the highest obesity rates – AND drinking the most sugary drinks – of any country in the world. In fact, the Alliance informed us, in Mexico 70% of adults and one-third of children are of unhealthy weight. Health advocates in Mexico were able to build public support for a tax on sugary drinks by making connections between sugary drinks, obesity, and type 2 diabetes. They also showed how the tax could fund health initiatives – such as drinking water fountains in schools and public spaces. In 2014, Mexico brought in a special tax of roughly 10% on sugary drinks. It appears to be working, with a reported 12% overall decline in purchases and an even larger decline in purchases by those earning lower incomes. Today, I read a report suggesting significant health improvements are possible simply by substituting one glass of water for one glass of sugary soda pop each day. Minority and low-income residents of Berkeley, Calif., drank 21 percent less of the sugary stuff after the city implemented an excise tax [according to] the American Journal of Public Health. During that same period, soda sales in San Francisco and Oakland to minorities and low-income residents—who are likelier to consume sugary drinks and to suffer the health consequences— ticked up 4 percent. The tax imposed was one penny an ounce [about 12 cents on your average can of Pepsi]. Berkeley was the first U.S. city to pass a soda tax, following a campaign funded in part by Michael Bloomberg, owner of Bloomberg LP, despite a $1.7 million effort by “Big Soda” to defeat the measure. Considering the accumulating weight of expert opinion, the tax evidence and the seriousness of the health indicators, I believe it is now appropriate for British Columbia to consider a tax on sugary drinks. Legislative Assembly of British Columbia, Select Standing Committee on Health, A Strategy for Combating Childhood Obesity and Physical Inactivity in British Columbia, November 29, 2006. The North Shore is rightly proud of the recreation facilities which contribute so much to our quality of life. It is somewhat jarring, therefore, to learn that in West Vancouver our kids don’t have a safe track to run on, and that our soccer fields are very heavily over-utilized, resulting in several teams playing on one field. Soccer season in Vancouver is during the winter months so teams need practice fields with lights. Let’s do a tally: West Vancouver swimming facilities are excellent. Our artificial turf fields on Marine Drive, with night lighting are superb. Our rugby fields, with natural grass at Klahanie Park, are about as good as it gets. As for sailing – well, our facilities are on top of the world. Road cycling abounds, and mountain biking, some would claim, was almost invented on the North Shore. Golfing at Gleneagles is fun and inexpensive, and a broad cross-section of the community plays. Indoor and outdoor tennis? No problem. However, when it comes to track and field, we have succeeded in spite of our local facilities, which are poor to non-existent. It is a sad commentary that we don’t have a single safe running track for kids anywhere in West Vancouver. North Vancouver is welcoming, but their sports facilities are stressed and over-utilized too, and they must surely ask themselves with a sigh whether they must accommodate West Vancouver forever. 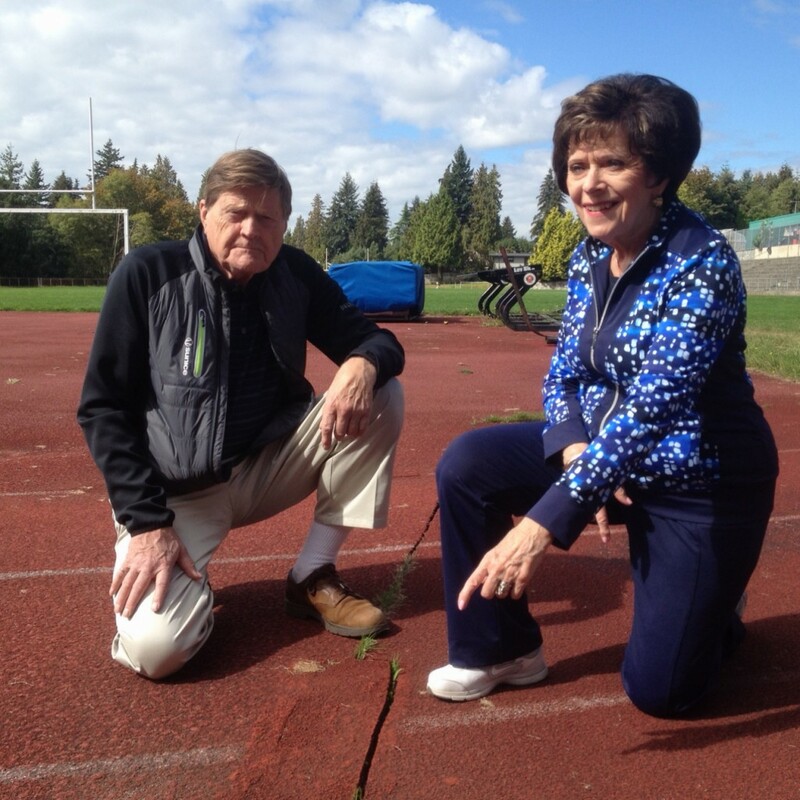 Enter the project to create The West Vancouver Place for Sport, a renewal and replacement of the crumbling and potholed track and field facilities at West Vancouver Secondary School. This project is strategically profiled as a community project, funded by the community, to be used by the community. A steering committee with representation from the Parks, Culture and Community Services Division of West Van Municipality, School District 45 (West Vancouver), the West Vancouver Community Foundation, and local soccer and track and field organizations, has developed at $5.7 million proposal for a six lane track, a multi-sport artificial turf field, grandstand, and washroom facilities on the site of the existing, aging and unsafe West Van Secondary facility. It will be equipped with lighting for night use. It will be essentially a recreation centre without walls. The artificial turf playing field will facilitate greater use both during the day and in the evening with no closure owing to inclement weather. Field use will include community soccer and school sports. The running and walking and wheelchair track will be poly-urethane bound, all-weather rubberized material. The 6-lane track will be constructed with time registration in mind. High jump and pole vault? Sure; the only activities not allowed will be javelin and hammer throw. Seniors will be welcome along with school kids. Since it will be an upgrade of an existing facility on high school land, it is agreed West Vancouver’s School District 45 will have first call on scheduling and use of the facilities between 8am and 5pm on weekdays. The District of West Vancouver, coordinated by the Municipal Parks, Culture, and Community Services at City Hall will book evenings and weekends – they already coordinate West Vancouver’s existing sports fields facility, the Community Centre, and other places. Maintenance of the facility will be a joint responsibility of the West Vancouver Parks and Recreation Department and School District. There will undoubtedly be a certain amount of give and take in scheduling, premised on a 50-50 partnership of usage and cost. Meanwhile, on May 26 a potpourri of dancers, athletes, singers and community enthusiasts young and old, ranging from grade school to “Fit Fellows” of a certain age, gathered at the adjacent Kay Meek Centre to demonstrate on stage the range of activities that will take place at the West Vancouver Place for Sport and officially launch the fund-raising campaign. About 90 days into the campaign, the committee is somewhat over 10% of the way home – but has many metres to run, kick, and jump before they can say they have won the gold and construction may begin. So this is a call for financial participation by all Community members! As co-chairs of the BC Steelhead Caucus, MLA Jackie Tegart (Fraser-Nicola) and I are striving to improve the prospects of this iconic British Columbia sport fish. Steelhead are a big (easily a metre long, weighing as much as 20 kilos – 45 pounds), muscular and unique salmonid species. They spawn in the gravel of clean, fast-flowing rivers and streams of our Coast and Interior Ranges, grow as smolts to small trout size, migrate to the sea after 2 – 4 years where they roam for several more years, then (like their salmon cousins) return as super-sized rainbow trout to fresh water to spawn– but unlike their salmon cousins, not necessarily to die. Chances are that having laid their eggs, many will simply turn around and head back out to sea, and repeat the cycle, devouring squid and smaller fish in the North Pacific before the impulse to spawn strikes again. We admire their athleticism and their independence — and they’re definitely not boring attitude and amazing life style. How are they doing? Well, only so-so. Many southern BC steelhead populations have suffered declines and even extinctions as a result of habitat damage or over-fishing. Summer-run fish, in particular, are doing poorly. The timing of their return home overlaps with salmon species, and many are taken in commercial net fisheries before they can spawn. As go steelhead so go all salmon in our watersheds. They are our “Canaries in the Coal Mine”. Less than 100 metres from my office, the Capilano River flows by – key to much of our drinking water supply, but also to steelhead survival in the Lower Mainland. Despite the Cleveland Dam (a 300-foot high obstacle somewhat hard to swim up and over when migrating upstream, and almost as hard to survive swimming downstream due to the ride of your life in the spillway), wild steelhead survive – barely. In addition to the dam, they are challenged by extremely cold water drawn from the bottom of the reservoir (how cold, try 4 degrees above freezing); seagulls, mergansers, otters and seals, who lunch on fish making their way down the river; poor spawning habitat due to flushing of gravel and large wood from the river by storm and reservoir spill events; a First Nation fishery of chilling effectiveness; and finally, urban development along both sides of the Capilano River which hardly enhances Steelhead habitat. Metro Vancouver and DFO work together to intercept adult steelhead at the weir below the dam, catch them by old-fashioned rod and reel, truck them for release above the dam, and puzzle over ways to collect smolts travelling downhill from the upper river before they wander around in the reservoir, and eventually go over the spillway, where most are stunned or killed on the rocks below. Advised by retired DFO expert, Al Lill, Metro Vancouver biologists are not discouraged. They are determined that somehow this wild species will be preserved. I learned to admire and fear the wild Coquihalla as a kid growing up near Hope, BC. About a 2-hour walk from our Brigade Trail summer house, close to the Shakespeare-inspired hamlet of Othello, the Kettle Valley Railroad constructed five tunnel-and-bridge combinations in order to gain passage through Coquihalla Canyon. Listening intently for oncoming steam engines, I accompanied my elders as we clambered down using ropes, from the tunnels to the wild river below, to fish for steelhead. Only summer steelhead were strong enough to swim upstream through canyon obstacles; hence, the upper Coquihalla became an exclusive steelhead preserve. But not forever! In the winter of 2014-15, one of the old bridge piers installed by the railroad toppled over near a natural rock fall, creating an obstacle even most powerful steelhead cannot overcome. What is required now is investigation, design, and implementation of species-selective fish passage in the lower Coquihalla Canyon, in order to restore unobstructed summer steelhead passage at the Othello tunnels rock fall site. Once this is done, the project would include river snorkel surveys and fish tagging to evaluate the project’s eventual success. Removing the Coquihalla blockage is an obvious project for the Steelhead Caucus to champion provincially. This is an example of seizing local opportunities as they arise, and the benefits are immediate. Steelhead returning from the Salish Sea to Vancouver Island’s Englishman River, north of Nanaimo, need our help. Englishman River Falls Provincial Park features two stunning waterfalls cascading into a deep canyon. The lower falls are a great place to view spawning salmon in the fall. However, through moving dirt and river channel around for decades man has done his ‘best’ to make the Englishman River inhospitable for steelhead and other fish species. Three things are needed: removal of the abandoned Mine Road Dike and construction of a new setback dike adjacent to a residential subdivision on the east side of the Englishman estuary; removal of another abandoned dike and restoration of the estuary adjacent to an RV resort; and, bank revetment and side-channel maintenance in the lower Englishman River below Highway 19A. The Steelhead Caucus believes partners can be found for this work, including the regional district government, the Nature Trust, the Pacific Salmon Commission, DFO/RFCPP; Ducks Unlimited; Snaw-Naw-As First Nation, Mid Vancouver Island Habitat Enhancement Society, and the BC Conservation Foundation. This will provide an example of leveraging technical financial and community support. It is bad enough when steelhead must battle man-made obstacles such as the Cleveland Dam. On the Seymour River, they must contend with a huge blockage created by Mother Nature herself. North Vancouver’s Seymour Canyon is deep and narrow. In December of 2014 a massive slippage from a cliff face – made up of boulders the size of small houses — filled the bottom of the canyon, backing up the Seymour to form a mini lake, and preventing all passage of steelhead and salmon. A biological disaster! Northwest Hydraulic Consultants, North Vancouver-based and globally eminent experts in construction involving water, indicated the instability of the remaining 100 metre high rock face precluded conventional blasting techniques. Instead, a softer form of low-explosive-energy rock-splitting was recommended, “shaping the slide” into smaller pieces which year-by-year would be conveyed naturally downstream by the annual winter freshets. In five years or hopefully less, normal fish passage conditions should be restored. With the technical approach defined, the biggest problem remaining was money. While the profile was uncertain, the job might take up to five years and $4 or $5 million — or possibly only a year or two and not much more than $1 million. Only time will tell. 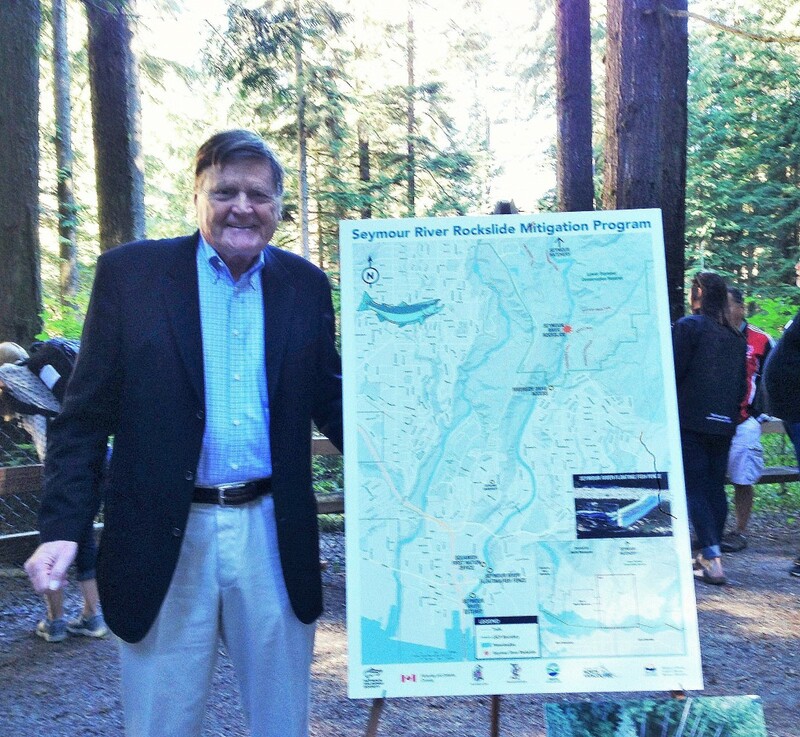 A combination of six levels of government (Feds, Province, Metro, NVD plus the Squamish and Tsleil-Waututh First Nations) joined forces, and raised about $850,000 which will provide a good start – including $600,000 from the Feds, and $60,000 from the Habitat Conservation Trust Foundation. Mary-Sue Atkinson threw a halibut BBQ and raised several thousand more. Hon. Steve Thomson of the Forests, Lands and Natural Resource Operations Ministry, came over, changed in the parking lot from his suit to a rugby shirt, clambered up in the spring rain to view the catastrophe, and pledged Victoria’s assistance. Shaun Hollingsworth and Brian Smith demonstrated the local partnerships which can be created. More money will be raised as needed, and the task is not yet completed. This is an example of local communities and First Nations collaborating on a unifying interest in the sustainability of fish and fish habitat through innovation and collaboration. 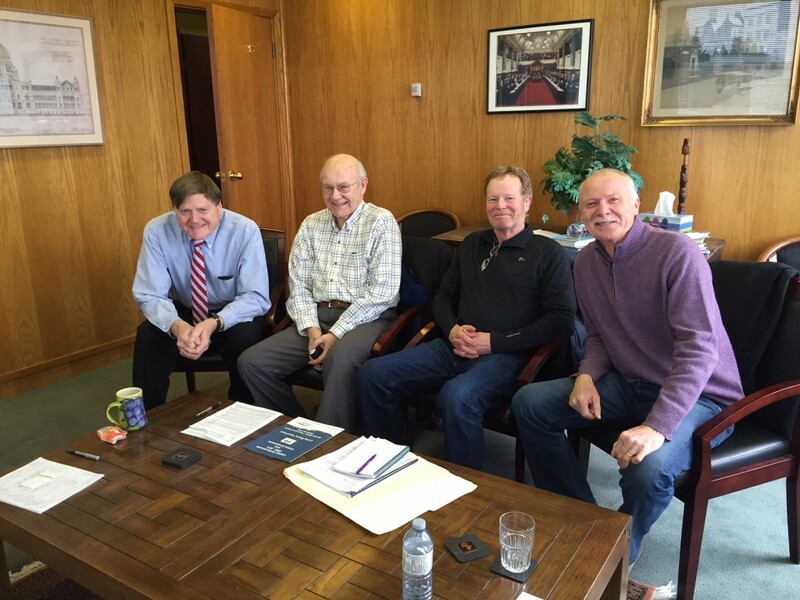 The Steelhead Caucus will lobby for more provincial funding to help finish the job. The Thompson-Nicola river system attracts world-wide steelhead anglers to a catch-and-release sports fishery which urgently needs provincial attention. The community of Spences Bridge – named after the pioneering contractor who built the first crossing of the Thompson, serving the thousands making their way from the paddle steamer terminus at Yale to the gold fields at Barkerville — is highly reliant on this angler traffic for its economic livelihood. A 3-part watershed project is envisaged: Improvements to flow-release practices from the Nicola Lake Dam to benefit downstream fish conservation; a new socio-economic analysis of the value of the Thompson River Steelhead Fishery to the Spences Bridge economy; and implementation of riparian silviculture treatments, improved streamside land development practices, demonstration stream restoration projects, and targeted stream stewardship education. A critical piece of the puzzle will be a peaceful resolution of competing users of water as contemplated in the Province’s new landmark Water Act. Benefits will flow beyond the late summer/fall steelhead runs, to enhance chinook and coho salmon, resident rainbow, and numerous non-salmonid species. The Steelhead Caucus has encountered a defeatist view that until problems of steelhead bycatch in downstream mixed stock fisheries are resolved, no amount of habitat improvement in the Thompson-Nicola has any chance of success. We emphatically reject that short-sighted point of view. Conservation of these stocks requires a coordinated approach to deal with interception and habitat productivity and water management not only in the Thompson-Nicola but many other streams. In the long term it is quite simple… no water equals no fish. Indeed, most watersheds, not just the Capilano, Seymour, Coquihalla, Thompson-Nicola and Englishman, local potential partners abound. What is needed is provincial leadership and core funding in the form of a BC Watershed Sustainability Fund to give the process the capacity required to maintain the functioning of these watersheds for fisheries and all the other values these waters support. Water supply, habitat, productivity and interception are at the core of concerns of the Steelhead Caucus. Steelhead are a symbol of the functioning of these systems that support a broad range of environmental social and cultural values. Recently I made my way to our West Vancouver Recreation Centre and found a crowd of youngsters surrounding Nathan Clement of the Otters Swim Club. He was signing autographs. Nathan is going to the Olympics. The Paralympics to be exact. Another West Vancouver athlete was there too, signing autographs. Emily Overholt has already shown her outstanding athletic ability in the swimming pool, in the Regular Olympics which wound up a couple of weeks ago. She brought home a bronze medal. I was there because Nathan’s grandfather Keith Pople was one my buddies at UBC. We shared harassing responsibilities during the engineering students’ occasional raids in the direction of the student newspaper, our enemy. Nowadays, Keith is a calm, careful, doting grandfather. He explained to me that Nathan was a sweet young child. However, at age two, he contracted chickenpox, causing a stroke which damaged his brain, which incapacitated his left side. Doctors said Nathan would never walk again. His grandmother thought otherwise. It is a family of athletes. Grandmother Maureen – Keith’s wife — had been a competitive swimmer. Nathan’s mother, Janet, also swam competitively, spending so much time in the pool her hair turned green. In fact, she often beat the ironmen – men, that is, in the swimming portion of their races. Likewise, Nathan’s father was a skillful rugby player and also competed successfully in the Ironman. You get the picture. This is an active, competitive family. Maureen took the young child to the West Vancouver Rec Centre pool and taught him how to swim. Later, he would get up on his own at 5 a.m., walk about a mile to the pool and wait until it opened at six am. Then he would swim and swim. He kept at it through his years in high school. Nathan was one of the first paraswimmers in B.C. high school sports, racing against able-bodied boys even if he came in last. That is to say, despite his disability, he entered to beat the able-bodied. His performance ultimately earned Nathan a spot in the Pan Pacific Para Championships. He competed in the butterfly, freestyle and individual medley. Then Nathan competed his way onto Canada’s own Paralympic team, going to Rio. There he joined another para athlete of my acquaintance, previous gold medalist Michelle Stillwell, who is also the MLA for Parksville-Qualicum, and Minister of Social Development in Victoria. She races in a wheelchair and likes to win. Nathan, Michelle, and other para athletes marched and rolled in at the opening ceremonies at the Maracanã Stadium on September 7th. Teams from 57 countries competed in 20 disciplines, ranging from tennis to equestrian to seven-a-side football. Like Keith and Maureen I closely followed the results. Nathan placed 7th in the finals in the 50m butterfly in Rio setting a Canadian record. Michelle Stilwell added her sixth career gold medal total with two golds for the track and field team in Rio. Congratulations to both of them and all the Paralympic athletes. UBC Professor of Civil Engineering Don Mavinic, P. Eng. Do you ever worry about what happens to your business when you turn the crank on your toilet? Well, my North Vancouver constituent Don Mavinic, P.Eng. and Professor of Civil Engineering at UBC does. He sees valuable products being flushed out to sea. Don has been at UBC since 1973. His research interest is environmental engineering. Where others see pollution, he sees opportunities: landfill leachate management, biological waste treatment, wastewater residuals treatment, prevention of water pipe corrosion, and purification of drinking water. He has received international acclaim for leading the development of a cost-effective system to recover valuable phosphates from … wait for it .. “pee”. That’s right, urine. 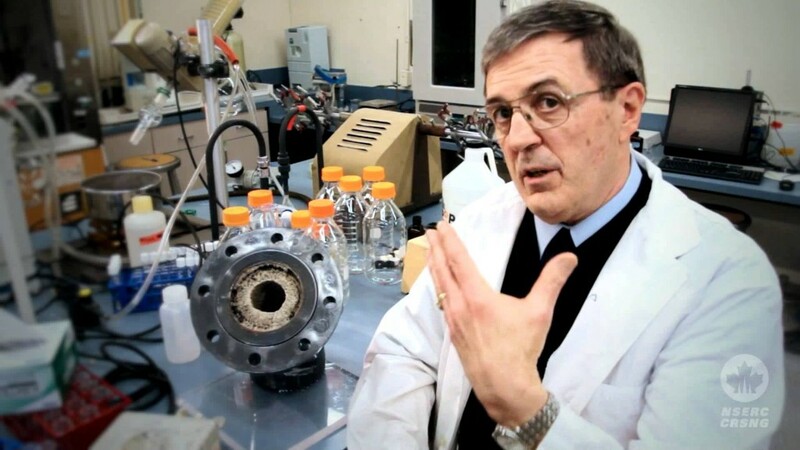 He developed a cost-effective system to recover phosphates from municipal waste-water systems. This patented process, producing a crystalline condensate called “struvite” – which will otherwise plug up pipes and destroy water systems — has been adopted by cities around North America. The technical and economic performance of Mavinic’s struvite process has been tested as a pilot project on Metro Vancouver’s waste water treatment facilities on Annicis Island in the Fraser River. The pending Lions Gate Waste Water treatment facility under the Lions Gate Bridge, on the north side of the inlet, makes provision for a struvite process – when that much-needed $800 million facility is finally constructed. Dan Mavinic has received numerous awards in recognition of his achievements, including the Ernest C. Manning Innovation Award (2010), the NSERC Synergy Award (2010), and the Meritorious Achievement Award from APEGBC (2011). In 2016 he received the prestigious Gold Medal Award from Engineers Canada. As a member of the Canadian Legion, a “must attend” evening is the Robbie Burns dinner, where master of ceremonies Harry Greenwood tells one story after another in a Scottish accent which we poor benighted non-Scots strain to understand. But what comes through loud and clear is the warmth and loyalty of all true Scots for their motherland – and the earthy style of Scotland’s poet laureate. Harry grew up in Thornliebank, Scotland, which you will all recall is an area of Glasgow, situated south of the River Clyde, once owned by the Stuart kings and queens of Scotland, and once having launched two-thirds of the world’s entire tonnage of ships. At 15, Harry joined the Royal Navy Sea Cadets and became proficient in Morse code and all aspects of visual signaling, holding flags in various positions left and right, which was the secure way to send messages from ship to ship prior to Blackberry. Thus, he was able to join the Royal Navy in 1942 at the advanced age of 17. Britain was facing military disaster; the Hun – having rolled over the French without much ceremony — was assembling to pounce from the other side of the Channel. Now trained as a Signalman, Harry was assigned to His Majesty’s rescue tug base, awaiting seagoing draft. While there, Harry befriended fellow Signals rating classmate, Jimmy Bell, who was also anxiously awaiting a draft. Jimmy’s name came up first but he was ashore when called and the Deep Sea Rescue Tug HMS Stormking, heavily armed 4-inch guns and Oerlikons and the size of destroyer, was preparing to sail. Harry was drafted in his place. Jimmy did manage to get to the jetty in time to see the ship leave, with Signalman Greenwood waving from the bridge. The last time Harry saw his friend, he was standing on the dock, waving his fist in mock rage. On HMS Stormking and later on HMS Jaunty, Harry saw action in the Battle of the Atlantic, Mediterranean, D-Day in Normandy and wherever his ship was called upon. He finished his service in South-East Asia in 1946 and left the service as a Leading Signalman. These rescue tugs were expected to pick up survivors of naval battles, and did – one of Harry’s memorable moments being the rescue of 400 seamen from the water after a British aircraft carrier was torpedoed and sunk in 1942 by a German U-boat. Harry whimsically observed that one of these U-boat captains, Baron von Tiesenhausen, who sank a British battleship in the Mediterranean about that same time, retired to live in West Vancouver and became well known at the West Vancouver Seniors Centre, requesting anonymity but proudly affixing the custom license plate U331 to his automobile. At sea in the Mediterranean, Harry had been glad to hear his friend Jimmy Bell didn’t have to wait long for a ship. He was soon drafted to HMS Sesame. Sadly for the friends, their ships never seemed to be in the same theatre of operations at the same time, until June 10th 1944, four days after the Normandy landings and just off Arromanches, when a flotilla of German E-Boats attacked and a torpedo sent HMS Sesame to the bottom. Jimmy Bell did not survive. We recognize Harry Greenwood and his fallen companions such as Jimmy Bell each year at the Remembrance Day ceremony opposite the Library in West Vancouver. He recalls that fully one quarter of his grade-school class was lost during the war. For his military services, Harry was awarded la Croix de Chevalier de la Légion d’Honneur by France. Here in West Vancouver, for his many contributions to local art, culture, non-profit service, and of course, the Canadian Legion and the memory of Robbie Burns, Harry – now a young and sprightly age 91 — was recently named Citizen of the Year by the West Vancouver Chamber of Commerce at a grand dinner party. Now signal that! Signalman Greenwood!